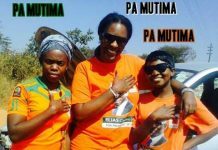 PF Secretary General, Wynter Kabimba, has disbanded the interim Provincial Executive Committee in Eastern Province, saying the ruling party does not recognize it. Mr Kabimba said this morning on Chipata’s Feel Free radio programme dubbed ‘The Big Issue’ that the interim committee in Eastern Province had no blessings from the Central Committee and President Michael Sata as required in the party guidelines. He stated that the PF Central Committee only recognized Provincial chairperson, Lameck Mangani, who was appointed by the Head of State and part president. 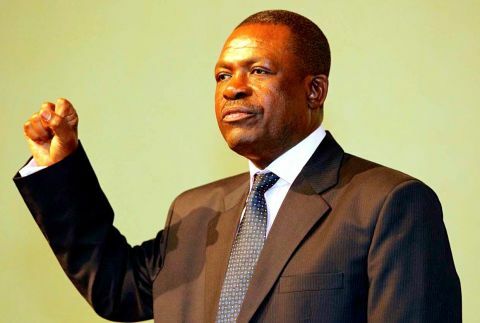 Mr Kabimba, who is also Justice Minister, stated that for someone in the party to hold a position he or she is supposed be subjected to election and also have a letter from the Central Committee. “I am thereby appealing to the wards, constituencies and districts in the region to end intraparty conflicts and infighting as it is taking our party backwards. We are the governing party and we expect to see maximum discipline and unity within the party more than ever before,” he added. Mr Kabimba advised the Provincial chairperson to work with structures at district level to spearhead party programmes. He also noted that all positions will be subjected to an election except that of provincial chairperson although he stressed the need to seek clarification from the President over the matter. He further appealed to PF members in the region, Chipata in particular, to ensure that they were united and there was discipline and guarantee that the members were not fighting but spend their energies on party mobilization. Mr Kabimba noted that burden for the party to remain strong and win elections depended on Mr Mangani who is party chairperson, adding that he should ensure the party remains united by providing leadership and discipline in the PF. He appealed to Mr Mangani to ensure that the ruling party wins all pending by-elections in the province. 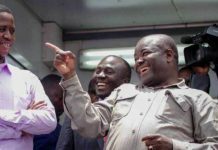 “He should show good leadership and discipline if the party gets stronger and wins the pending by-elections in Kasenengwa, Malambo, Petauke and Vubwi constituencies which are currently awaiting court ruling,” he said. The SG also urges people in Eastern Province to rally behind the PF, failure to which he said the province would continue to lag behind in terms of development. 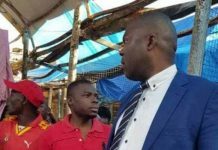 Meanwhile, Mr Kabimba has condemned the violent incident that happened in Ndola where United Party for National Development (UPND) leader, Hakainde Hichilema, was attacked by suspected PF cadres recently. 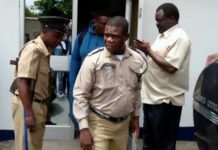 Mr Kabimba, however, stated that leaders of political parties should desist from insulting the Head of State and any other member in the country because that was what triggered the incident to happen. He said the people that attacked HH were not even PF members but concerned citizen from the area showing that people are not pleased with politics of insults. “When we investigated the matter, we discovered that the people who allegedly went to the radio station were actually members of the general public because the UPND president who featured a radio programme at a radio station in Ndola was not talking about issues of national development but diminished President Sata in his discussions,” he said. Mr Kabimba stated that President Sata was given the mandate to rule the country by the people of Zambia and HH should come to terms with that for he is to govern the country for five years. And speaking on the alleged selective implementation of the Public Order Act, Mr Kabimba said the PF adheres to the Act and advised all opposition political parties to do so if they did not want to get into conflict with the law. He said that there was need for all citizens to be cooperative with the police as they were not enforcing the Act to infringe on an individual political party but to protect all the Zambians and ensure that they observed law and order. 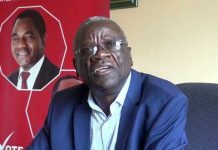 Mr Kabimba also said that President Sata expected the Members of Parliament and ministers to put in the best as it was his wish to regain the glory lost in the 20-year-rule of the Movement for Multi Party Democracy (MMD). He stated that the Head of State wanted to transform the country in terms of road infrastructure, bridges which should be visible to the people of Zambia. And Mr Kabimba said the final say over the final product of the constitution lay in the people of Zambia who would grant it legitimacy and recognition. He noted that political parties that wanted to turn the constitutional process into a political issue were missing the point, adding that people should remain calm. He also said PF remained committed to the development of the country’s agricultural sector being one of the core programmes in the PF government as outlined in the manifesto with the first being education, followed by health and Ministry of Local government and Housing. The SG said the opening up of the roads in rural areas was paramount to enable buyers access rural parts of the country so that they buy farming produce such as tobacco, cotton and maize at fetch better prices. He said government is contracting foreign debt to assist the country accelerate developmental infrastructure, saying even major economies were doing the same to be where they are today.